​​​​​ ​LUBBOCK – The Texas Department of Transportation (TxDOT) has unveiled detailed plans for the Loop 88 project. 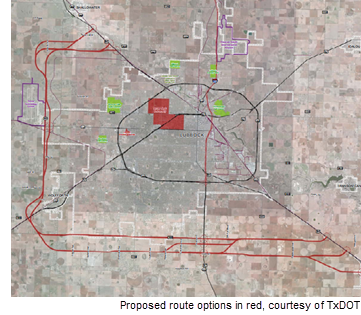 As Lubbock continues to expand further south and west, Loop 88 would connect parts of Lubbock that Loop 289 doesn’t reach. The full project is expected to span 36 miles in length. Segment 4 would connect South Lubbock’s US 87 to US 84 in Slaton. Construction of Loop 88 in its entirety could take 12 to 15 years to complete and TxDOT may begin construction as soon as 2021.